Boston Harbor has witnessed the arrival of British soldiers, the influx of European immigrants, international trade and a certain “tea party”. Times have changed and Boston has a new waterfront that's trendy and overflowing with photo opportunities. This 90-minute small-group tour will follow Boston's original shoreline hidden near Faneuil Hall and take a vibrant route to Christopher Columbus Park. 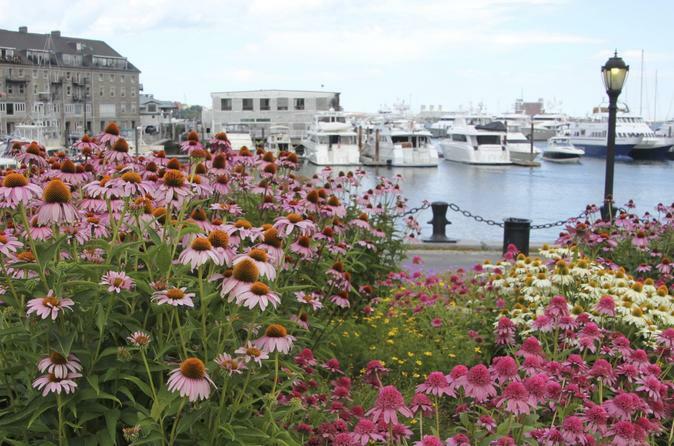 Learn how to capture amazing images of the picturesque views of Boston Harbor, the Long Wharf area, the colorful roses in the Rose Kennedy Garden and John Hancock’s office building. You can also take pictures of the dancing fountains on the Greenway and end our tour at the iconic Custom House. Boston Harbor has witnessed the arrival of British soldiers, the influx of European immigrants, international trade, and a certain 'tea party.' Times have changed, however, and Boston has a new waterfront that's trendy and overflowing with photo opportunities. Follow Boston's original shoreline hidden near the famous Faneuil Hall marketplace and take a vibrant route to Christopher Columbus Waterfront Park. Learn how to capture amazing images of Boston Harbor, the Long Wharf area, the colorful roses in the Rose Kennedy Garden, and the John Hancock office building. Also, take pictures of the dancing fountains on the Rose Kennedy Greenway and end the tour at the Boston Custom House. The publication 'PhotoWalks Guide to Creative Photography' is included in the tour price. This e-booklet provides valuable information on maximizing photography skills with user-friendly explanations of camera settings.